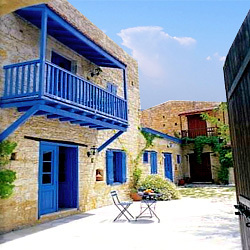 The monastery is situated in a beautiful location near the village of Panagia and the forest west of Paphos. Founded in 1152 AD by the monk Ignatius, who found Moulia the miraculous image of the Virgin Mary in Paphos and which according to tradition, is painted by Saint Luke. 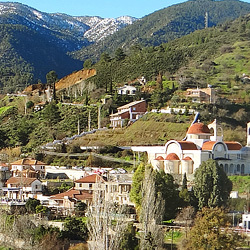 Ignatius moved the picture to the mountain and built the monastery, which was dedicated to the Virgin Chrysorrogiatissa. 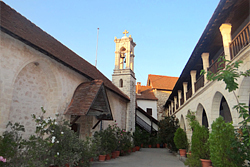 The monastery, whose current buildings date from 1770, has a significant collection of icons and treasures. 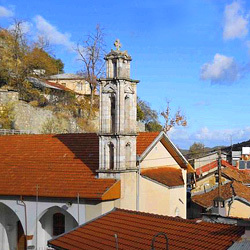 The church is located in the centre of the monastery. The frescoes of more than three centuries will impress you. The image of Christ and the Virgin Mary as painted by St. Luke the Evangelist is in the monastery and is covered by fabrics and silver. 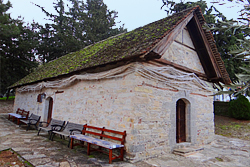 A protection centre of Byzantine and post-Byzantine icons and other such treasures, functioned within the monastery and recently an Ecclesiastical Treasury was built. 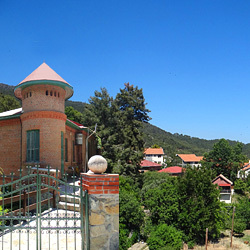 In front of the main entrance of the monastery there is a café-restaurant with a magnificent panoramic view. On August 15 each year an impressive religious ceremony and celebration takes place. 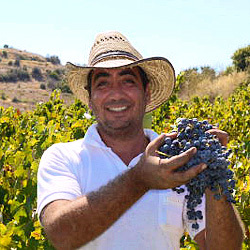 The old winery which you can visit on the inside of the monastery, produces, from its own vineyards, some of the best vintage wines of Cyprus. 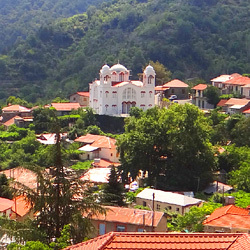 The first church in the village was that of the Great Martyr George the trophied, and was built around the 14th century in the basilica rhythm. 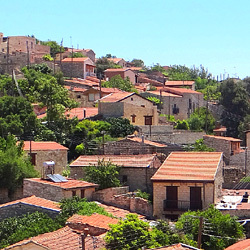 In 1929 the village had 800 inhabitants and that did not fit in the small church and it was decided by all, to demolish and replace it with a larger one in the same place and in Byzantine style. 1932 saw the completion of this beautiful church and which everyone admires and enjoys because everyone helped to build. On 9th September, there is a great earthquake and the church suffers major damage, the then English government offered 800 pounds to repair the church, but the money was not enough and then Archbishop Makarios III had to take over to repair it at his own expense. 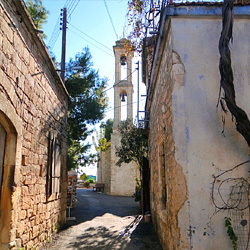 Saint George is the patron saint of Panagia village and the doctor for the sick people, the helper and protector of the inhabitants on hard times and drove the Turks away from the village. His memory is celebrated on 23 of April. 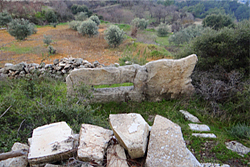 Around the 14th century in the northeast of the village of Panagia, a small chapel was built dedicated to Panagia Eleousa of Kykkos. 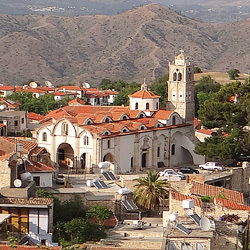 Today the church is under the protection of the Cyprus Archaeological Museum. The church has a length of 40 feet long 16 feet wide and is in basilica rhythm. The church is operated on the following dates: 2 February, 25 March, 15 August, 8 September, 21 November and 26 December. 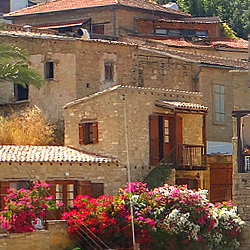 The Virgin Eleousa is considered miraculous mostly towards epidemics and deaths. In the old days when there was an epidemic in the village, Virgin Eleousa would visualize herself to the residents and they had to rap cotton around the church to stop the deaths. This custom still exists. 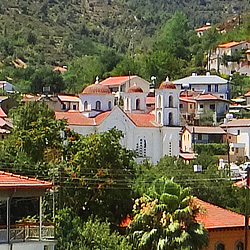 The Virgin Eleousa is celebrated on 15 of August. 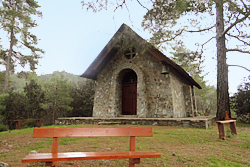 The chapel of Agios Georgios Emnon is in the forest at a distance of 7 miles from the village of Panagia. It was ruined and repaired in 1977. The icon of the saint is in a good condition and there is in the church of the village. 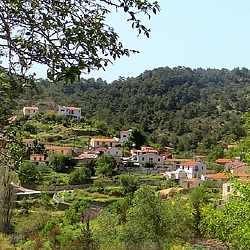 The Chapel took its name from the forest area which is called “Emnes”. 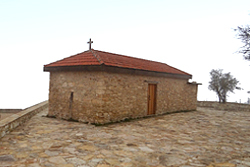 Located south of the village at 3750 feet is the Profitis Elias chapel. It is operated on the 20th of July every year. During Turkish rule the ottoman was looted by the Turks. It survives until today but icons of saints which where looted are in a bad condition. 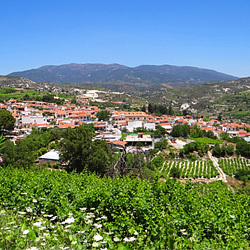 Located west of the village the Archangelos Michael chapel is celebrated each Easter Monday. The icon of the saint is transferred from the church to the chapel for the ceremony. Believers worship the stone that had the cross on it. 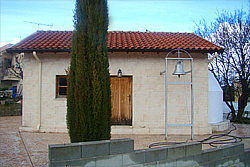 Today the chapel has been repaired by the inhabitants of the village. 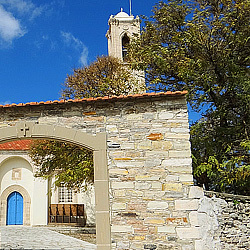 The chapel of Agios Kyriakos is located north of the village. The saint celebrates on the 29th of September but was operated last time in 1890. 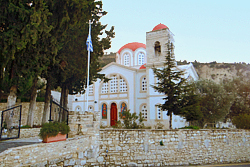 The icon is located in the village church because the chapel is in ruins. Nearby is a stone with a hole in the middle. The residents believe that anyone who could pass through the hole would live many years.